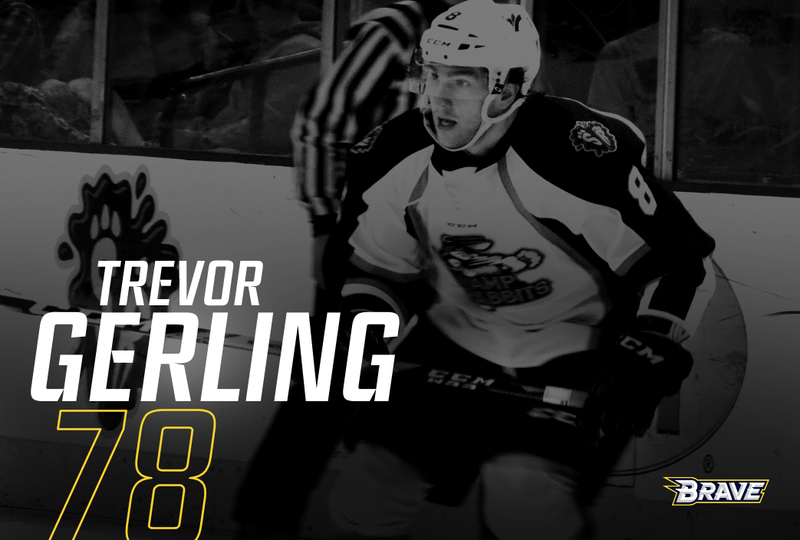 The CBR Brave are excited to announce the arrival of energetic forward Trevor Gerling. Growing up in Tacoma, Washington, Trevor began playing roller hockey when he was 5 and made the switch to ice hockey the following year. He continued to play hockey in the Seattle area until he was 16 before moving to Dallas Texas to finish high school where he played AAA youth hockey. In 2008 Gerling joined the Langley Rivermen of the British Columbia Hockey League where he ranks 3rd all-time in assists for the team. In 3 years with the Rivermen, Gerling scored 50 goals and 87 assists in 175 games for an average of 0.78 points per game. Moving from Langley, BC to Storrs, Connecticut to major in Communication, Trevor continued to fine tune his game with the UCONN Huskies. Gerling touched on one of his favourite hockey memories when talking about his time with the Huskies, saying "UCONN was such a big part of my life and career, my favourite team moment is shutting out Boston College 1-0 at home in UCONN's first ever home Hockey East game". Gerling recounted "Our arena was sold out and I've never played in front of a louder crowd". Gerling joins the Brave fresh off lifting the French Cup with Lyon, where his 48 points in 44 games were instrumental in securing a playoff berth including an overtime winner against Bordeaux to send Lyon to the French Cup final. When asked what he brings to the Brave cave, Gerling said "I hope I will be able to come in and make an immediate positive impact for the club both on and off the ice". Gerling also touched on continuing to improve, "I like to think I have some creative offensive instincts that can help the team put some pucks in the net but I am still learning how vital a great defensive game can be to winning games". Gerling also mentioned something that embodies the Brave spirit, saying "I want to make myself and my team better everyday, and represent the Brave team in the community as a positive and encouraging leader." The arrival of Trevor Gerling to the Brave is another step in the right direction for the club as looks to build on recent success and bring home that elusive maiden Goodall Cup. "I want to contribute to another great season of Brave hockey, and most importantly win a championship". "For me the feeling of lifting the cup and seeing the smiles on my teammates faces is something I hope to experience with a new set of guys, in Canberra, this season. Hard work pays off and I look forward to joining CBR."